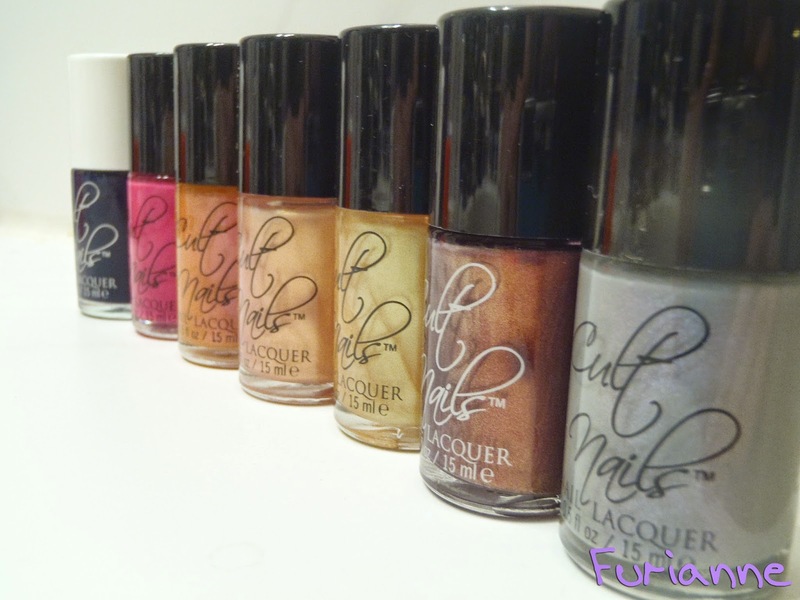 Cult Nails recently announced that they are liquidating and closing up shop. I'm sad to see them go, as I've read Maria's blog since before her Cult Nails days, but I took the opportunity to pick up some new and interesting colors at 60% off - or about $4.80 each. With shipping I spent a little under $40 on 7 these 7 polishes. When the polishes arrived I had a moment of sadness for one of the last times I'm going to see these polish burritos. The polish burritos Cult Nails fans have come to know and love. There was one casualty during the shipping process. 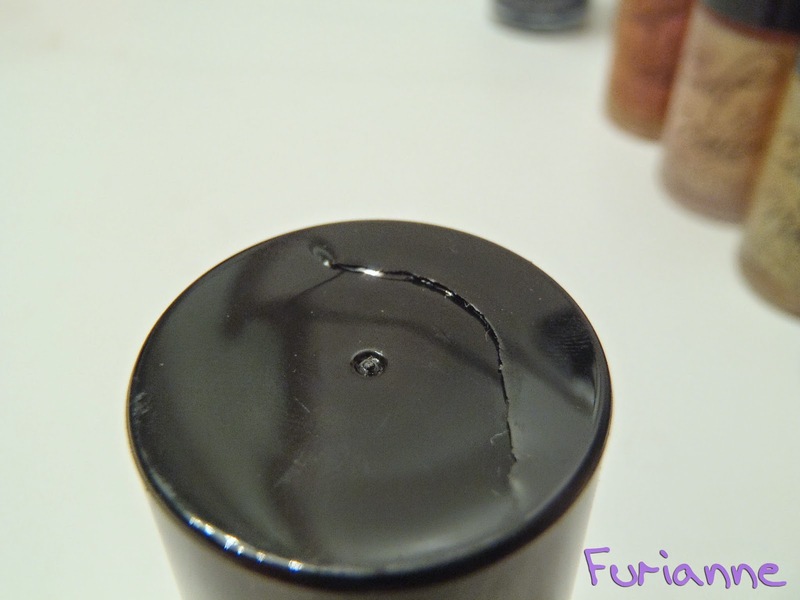 Devious Nature has a little crack in the lid, but I've examined the top and it doesn't appear to affect anything besides the cosmetic feel of the bottle. That's fine with me, so long as my polish doesn't dry up! The polishes I got left to right: Time Traveler, Devious Nature, Deception, Alter Ego, Two Timer, Wanna Be, and Disciplined. When the sun decides to make an appearance I'll take swatches of these. If you missed out on their sale, never fear! They're taking this time to do a full inventory and get prepared for a second round of their liquidation sale. 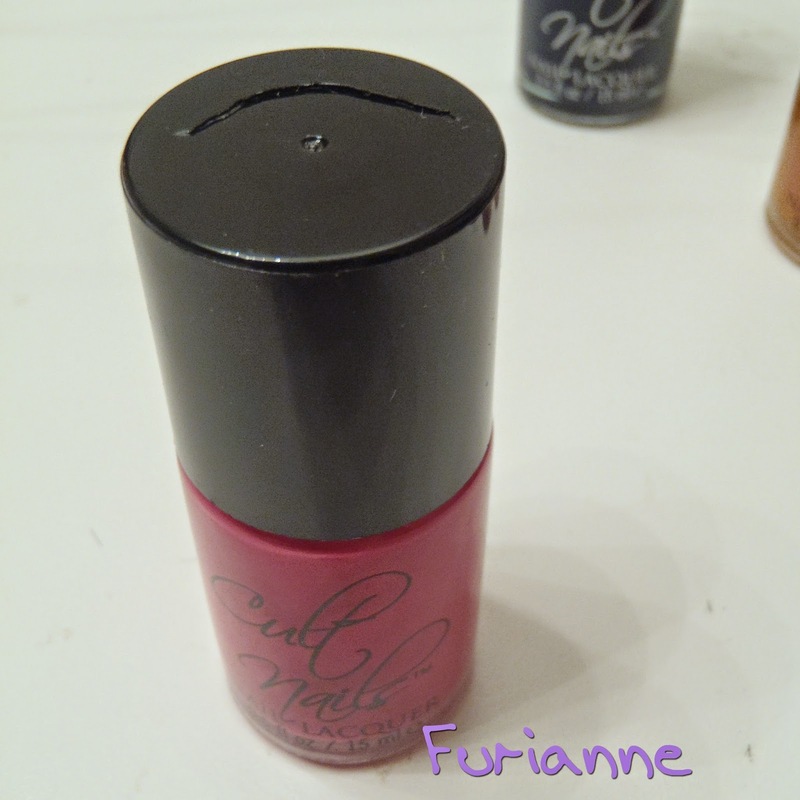 I know I plan to go back and pick up more polishes I may not have and want... maybe if they have any more of their Wicked Fast topcoats I'll pick one up, as well. Awesome choices! I keep staring at the silver one and Baker. Time Traveler I should get just for Doctor Who but I think I already have one very close to it. Here's hoping the sun comes out for swatches! !